NORWALK, Ohio (July 7, 2013) – No one enjoys a good, side-by-side drag race more than Ron Capps. 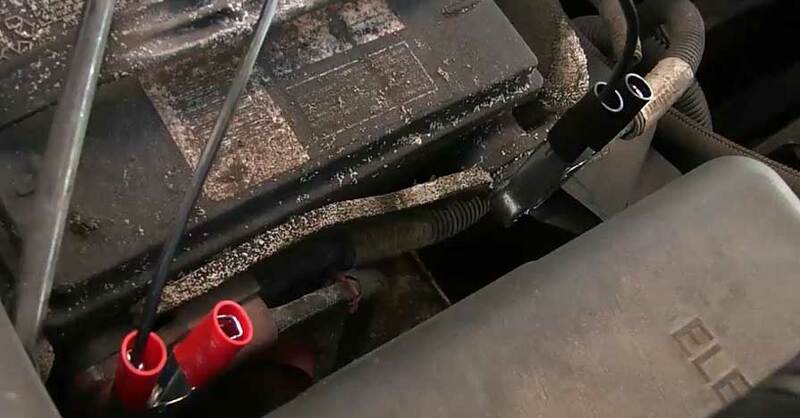 And he would have liked an out-of-body experience so he could have watched the championship round of Funny Car Sunday at Summit Motorsports Park at Norwalk, Ohio, even if he didn’t like the outcome. 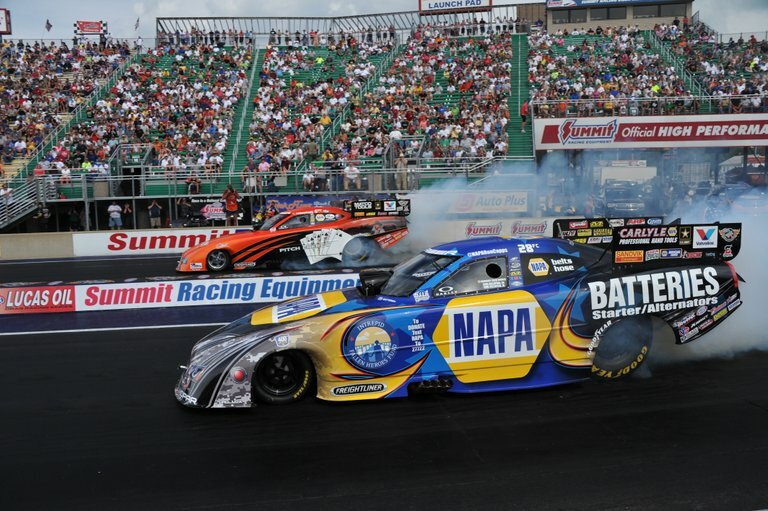 Capps and the NAPA Batteries/Intrepid Fallen Heroes Fund Dodge Charger R/T faced Don Schumacher Racing teammate Johnny Gray for the Summit Racing Nationals title, and it was one of the closest races of the NHRA Mello Yello Series season. Each driver completed their runs in identical 4.103 seconds, but the 60-year-old Gray left the starting line six-thousandths of a second ahead of Capps and that was Gray’s margin of victory. Gray’s reaction time at the start was 0.061 seconds to Capps’ 0.067. “It’s amazing that I had a (.067-second) light and we run a 4.10 and we still lose,” said Capps, who qualified No. 3 for eliminations and just missed winning for the first time at Norwalk since the Mello Yello Series began racing there seven years ago. It was Gray’s series-best fourth title of the year. 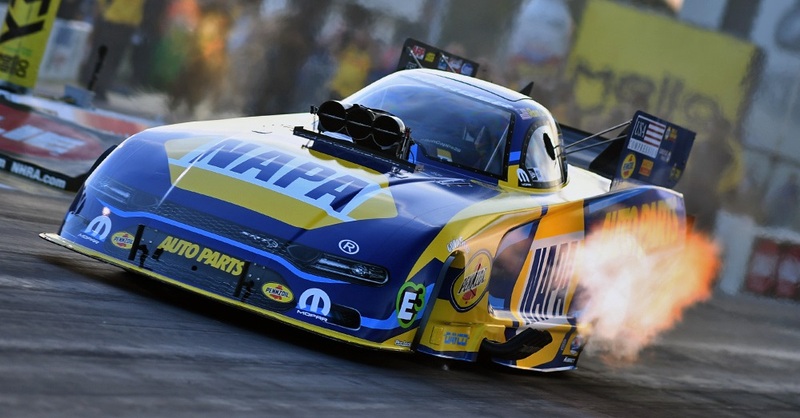 While Gray moved up two spots in the standings to second behind Matt Hagan, another DSR teammate Capps moved from fifth to fourth and is one point out of third heading to the July 19-21 Mopar Mile-High Nationals near Denver. The only cars that beat DSR Funny Cars on Sunday were DSR Funny Cars. 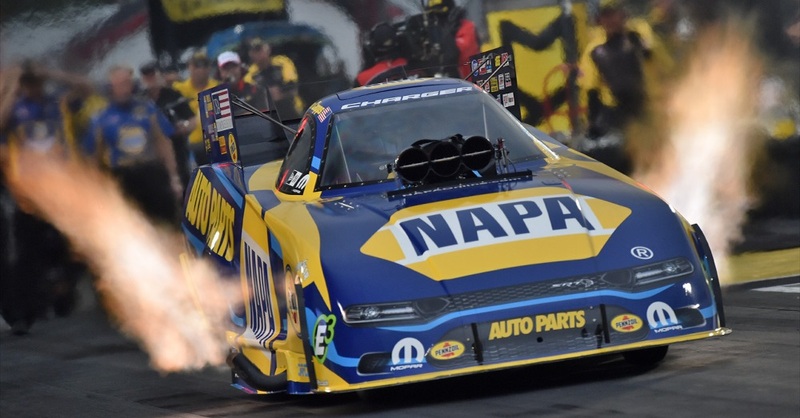 While Capps is disappointed that he came so close to winning the NAPA team’s second title of the year, he is more than encouraged from the performance of the team with crew chief Rahn Tobler and assistant John Collins. “We had a great hot rod,” Capps said of posting elapsed times during eliminations of 4.072, another 4.072, 4.093 and the 4.103 in the final. 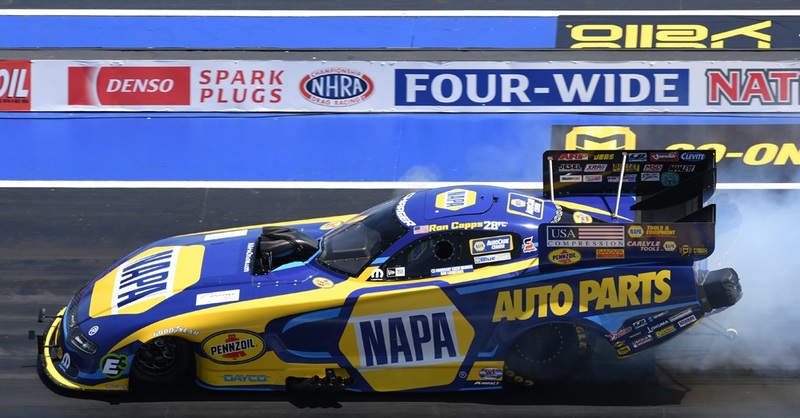 Capps said the biggest win of the day for his NAPA team was in the second round when it faced Hagan and veteran crew chief Dickie Venables. “The second round against Hagan and Venables was big for us. They are the car to beat out here. They have the car running the best and were just coming off a win at Chicago. We know how good they can run. 2013 WINNERS: C. Force, CAPPS, GRAY, C. Pedregon, HAGAN, C. Pedregon, GRAY, GRAY, HAGAN, J. Force, C. Force, HAGAN, GRAY.